Home sales figures for December published by the National Institute of Statistics (INE) provide clear evidence that the constitutional crisis in Catalonia has taken its toll on the housing market, though I think the impact will be temporary. The political crisis in Catalonia rumbles on, though the drama of a disputed referendum marred by violence in October, and a unilateral declaration of independence in November, has given way to chronic political bickering that goes over most people’s heads. It’s hard to tell there’s a constitutional crisis unless you read the political pages of the local press. Estate agents tell me that demand, especially foreign demand, has shown signs of recovering towards normal levels in January and February, as investors conclude that the crisis, though a problem, is not going anywhere dangerous. I suspect a growing numbers of investors now see that Catalonia can’t unilaterally break away from Spain, but the initial drama of the crisis in October was bound to have made many put their decision on hold, and that is finally showing up in the official figures. 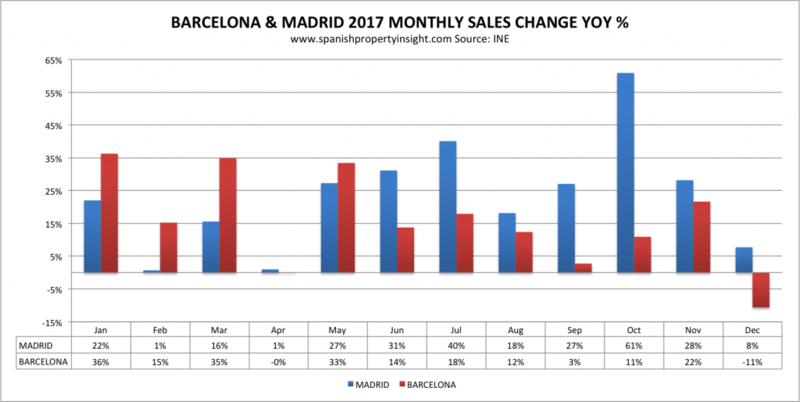 As you can see from the chart above, which compares the year-on-year change in monthly sales inscribed in the Land Register for Barcelona and Madrid – the two biggest and hottest markets in Spain – sales in Barcelona declined by 11% in December whilst rising 8% in Madrid. Home sales usually take a couple of months before they are inscribed in the Land Register, so Barcelona’s decline in December reflects a decline in sales closed in October and November. So it’s clear that the Catalan independence drive has resulted in a decline in home sales, amongst other things. 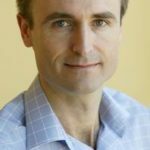 Is the decline in sales having any impact on prices? Not according to Spanish property portal Idealista’s asking-price index showing Barcelona up 10% in Q4 last year, but agents tell me that vendors have stopped raising prices for now, and are more open to offer than they were before. How long will the decline in Barcelona sales last? My guess is a couple more months at least, though looking further out I see this as just a blip on the road that will be forgotten as globalisation brings ever greater numbers of foreign buyers to Barcelona. The city just ticks too many of the right boxes.